I recently did a story for Of A Kind on a typical beach day here in Wilmington. Check out some of my favorite spots! In Wilmington, we have beaches on two sides of town. Wrightsville Beach is on the north end of town and Carolina and Kure Beach are on the southern tip of town. During the winter, we tend to go to Wrightsville, but parking is really tricky in summer, so we usually end up going down to Kure Beach. 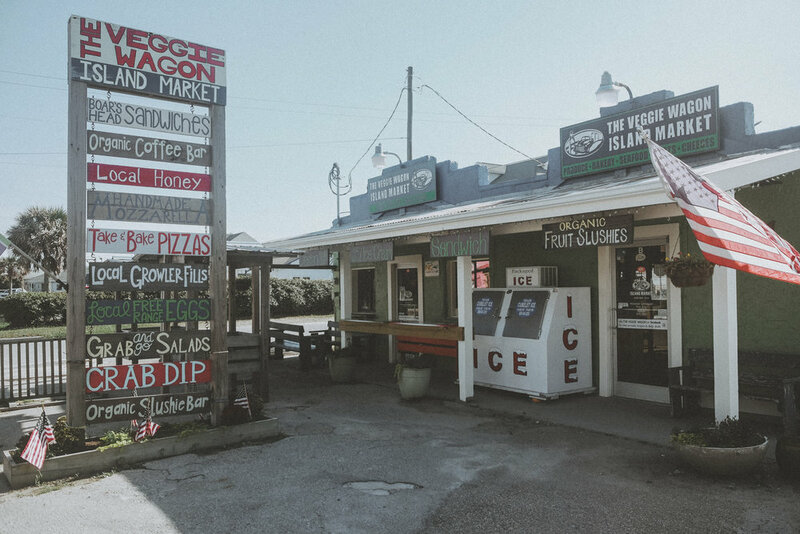 These are a few of my favorite spots to stop when we head to Caroline and Kure Beach, which are nestled right next to each other. These are the best glazed donuts I've ever had. This is one of the few places in Wilmington that will constantly have a line, but it's worth it. Old school donuts on the boardwalk since 1939 with the perfect crusty/soft/sweet ratio. And I still order a cup of milk with them like I've done since childhood. 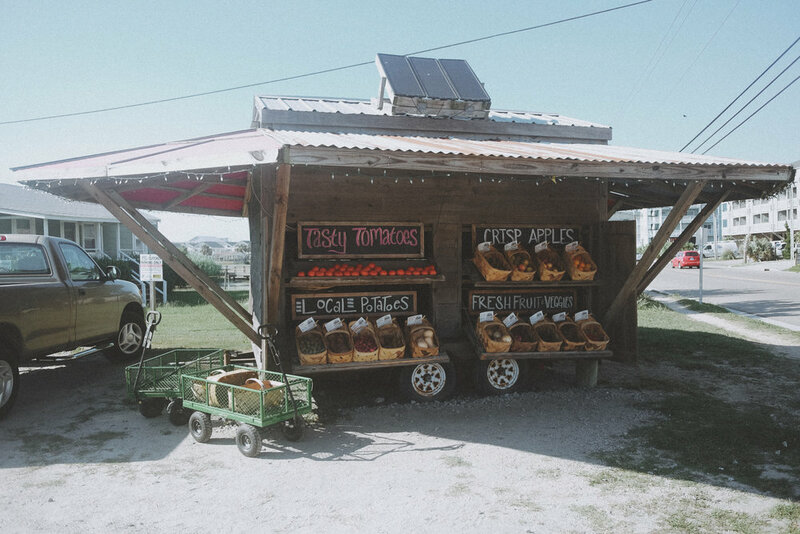 This produce stand and market is the ideal place to stop for snacks to bring to the beach. 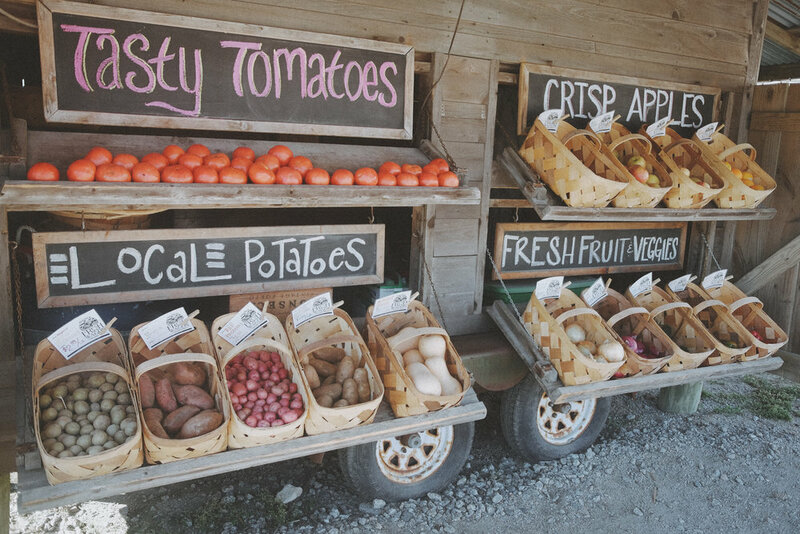 They have fresh fruit and veggies, great premade salads and sandwiches, and a well rounded selection of beer to build your own six pack. We never leave without some of their homemade pimento cheese and a fresh baguette. You can also create a custom ice cream sandwich with your choice of top cookie, bottom cookie, and ice cream, genius! If we don’t go to the Veggie Wagon, we come here for fresh biscuits and stone ground cheese grits. It’s right next to a bottle shop, Island Beverage, so you can stock up on refreshments while you’re there. We typically drive down to Kure Beach for the smaller crowds and free parking. Our friends have a family beach house down there, so that's our meet up spot. Tim mostly surfs and I mostly catch some zen time on the sand for a couple of hours with intermittent swim breaks. 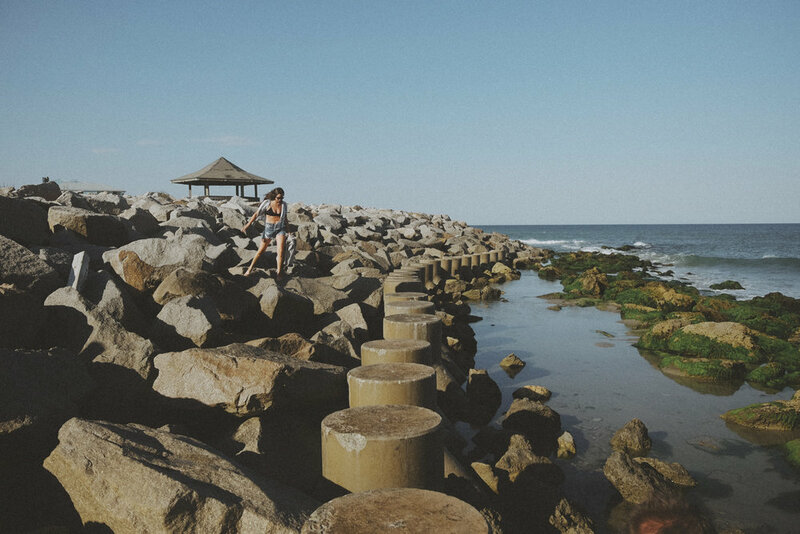 Ever since I was a kid, I loved going down to Fort Fisher, an old fort and battleground during the Civil War that's surrounded by water. It's a truly breathtaking place. The trees that line the oceanside look like something out of a Dr. Seuss story, their narrow trunks squiggle and sway in such a surprising pattern. It's enchanting and eerie, especially when considering the history of one of the last and most decisive battles of the war. I always prefer difficult route to the ocean which is another beautiful scene: a wide row of large, stacked rocks that borders the sea's edge. There's also a proper beach access if you're not feeling adventurous. 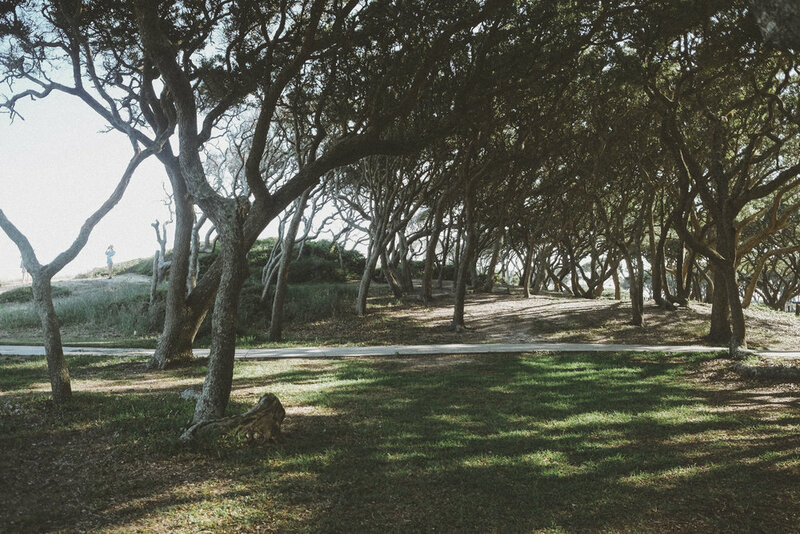 On the sound side, you can view Fort Fisher and what's left of the battleground - there's also a small museum and a network of trails worth checking out. This place is a true gem. Their beer selection is located in a huge walk-in cooler which is always an interesting jolt after being at the beach all day. Walking through the bar to get to the backyard "beach" you'll notice that no square inch has been left undecorated with local relics and beachcomber oddities. see the Of A Kind post here and major thanks to Becca Milligan for taking these photos and Molly Jones for helping out!